If you live in Canada and like Italian wines, you have certainly come across the prodigious line up from Masi Agricola. They are known as one of the founding fathers of Amarone. Last week, I had the great pleasure of attending a tasting of some of their finest cuvées. The process of drying the finest grapes to make richer, more concentrated wines is an old one in the Valpolicella region. However, until fairly recently, production was largely dedicated to crafting the sweet recioto style. Amarone, meaning “the great bitter”, refers to the technique of fermented the raisined grapes to near dryness, making for a full-bodied, high alcohol yet still luscious and velvetty red wine. Masi has dedicated generations to perfected their Amarone style. The grapes undergo the appassimento (drying) process on small bamboo racks in well aerated drying rooms. While the minimum drying time for the appellation is 55 days, Masi holds themselves to a higher standard, waiting an average of 100 days (until the grapes lose 35% of their weight). The resultant Amarone della Valpolicella Classico DOC wines are bold and intensely flavourful. Masi’s ever continuing quest for quality improvement and innovation extends to all of their plethora of DOC and IGT wines. Another case in point is Ripasso della Valpolicella. While the process of macerating the Valpolicella wines on Amarone pomace was used by many winemakers throughout the region, each estate had their own name for the technique. 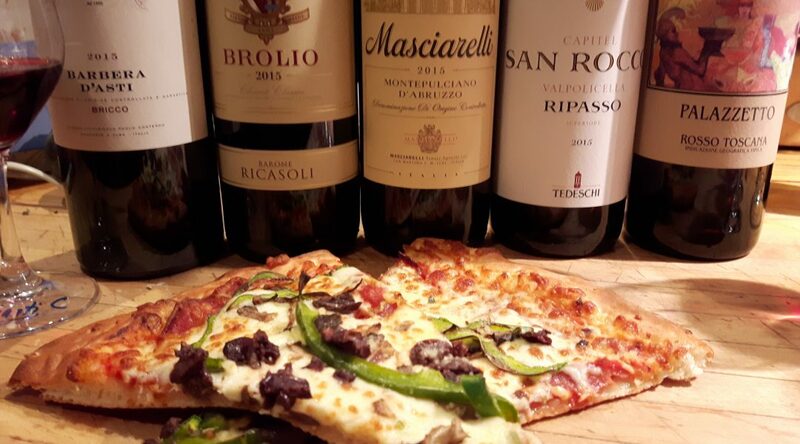 Masi coined the phrase “ripasso” in the 1980s and started selling the medium bodied reds internationally. The name and style caught on and, in 2009, a DOC was granted. By this time however, Masi had already abandoned the concept. Masi’s ever continuing quest for quality improvement and innovation extends to all of their plethora of DOC and IGT wines. They decided that simply steeping the lighter (and generally lesser quality) Valpolicella in the dregs of the Amarone wasn’t yielding the quality of wines they sought. They therefore developped a new process dubbed “double fermentation”. The concept is simple. The grapes are classed in three quality tiers; the best for Amarone, the second best for their former Ripasso wines and the third level (less concentrated grapes) for their simpler, every day wines . The second tier is further subdivided, with a portion immediately fermented and the rest put through the same appassimento process as Amarone, but only to a weight loss of 15%. The dried grapes are added to the fermented wine causing a secondary fermentation to occur, making for a more complex, layered wine. Masi’s Valpolicella Classico Superiore DOC wines like the delicious Montepiazzo cuvée are crafted in this manner. Masi Agricola has been in the Boscaini family since 1772. 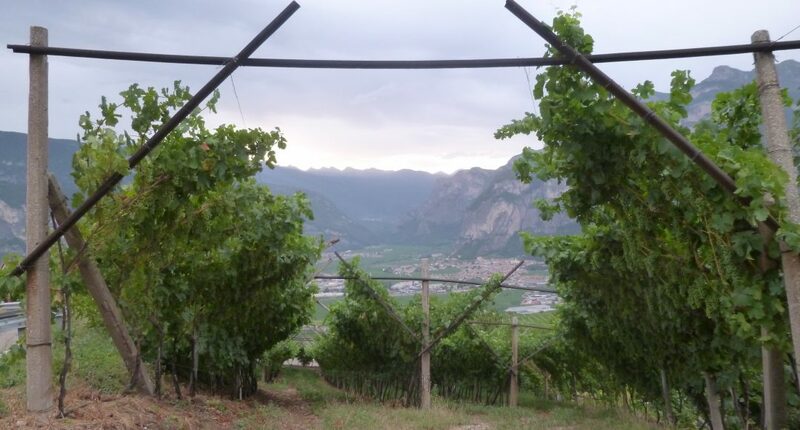 Their story began with the acquisition of a vineyard plot called Vaio dei Masi (little valley). The estate was thus named and a legacy was born. Today, patriarch Sandro Boscaini heads up the estate, with children Alessandra and Raffaele managing the technical department. Like Robert Mondavi’s role promoting the Napa Valley, the Boscainis work tirelessly to show that the Veneto is capable of world class wines. 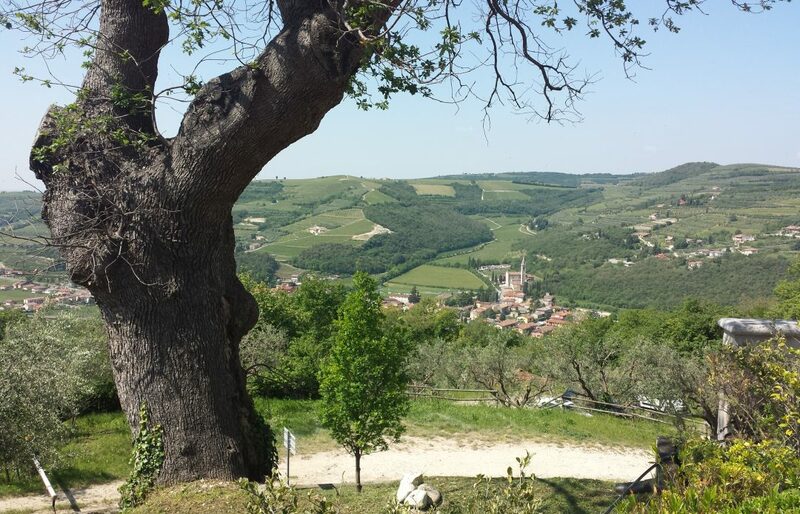 Deemed “Italy’s wine factory” by Jancis Robinson, the region is best known for the millions of entry level bottles of light bodied Valpolicella and neutral Soave. Great vintages are rarely hailed in the press like those of Piedmont or Tuscany. The Boscainis have therefore taken matters into their own hands, creating a “5 star” concept to highlight top quality vintages like 2012. Weather conditions need to be optimal during the growing season and the appassimento period (good aeration of the drying grapes) for a vintage to be named. Attractive dark ruby colour, with ripe notes of plum, black cherry, mixed spice and earthy undertones. Rounded acidity, medium bodied and a velvetty texture define the palate, with classic sour cherry flavours on the finish. Refosco is an ancient variety, native to the Veneto region. It is generally quite a bold, tannic grape with a touch of bitterness. It is blended here, with Carmenère, which is planted in small pockets of the Veneto and Fruili regions. Intriguing aromatics of potpourri, red cherry, cedar and a subtle animal note define the nose. Pleasant on the palate, with a dense structure and tart acidity providing lift through the mid-palate. Ever so slightly rustic with ripe, chewy tannins. A brilliant example of the ageing potential of fine Amarone. The nose delights, with a lovely mix of tertiary earthy, truffle and prune notes, and fresh red and black berry fruit. Still bold and full-bodied, yet showing the mellow smoothness of its age. Sweet sappy fruit, and lifted tones of sour cherry linger on the persistent finish. South west facing slopes catch the afternoon sun and benefit from the drying effects of the prevailing wind, ensuring optimally ripe, healthy grapes. The result is an elegant wine, redolent with floral notes, cedar, black cherries, dark berries and subtle tertiary aromas. Firm, yet broad through the mid-palate with tangy acidity and a long, cigar box scented finish. A denser, more structured style. Subtle botrytis notes on the nose interweave nicely with macerated black fruits, spice and dried floral aromas. Full bodied with big, chunky tannins that frame the cedar, cigar box scented finish. Intense aromas of plum, mixed black berries and a lively minerality feature on the nose. Full bodied, fresh and tightly woven, with firm, chewy tannins and a lingering toasted note.